Life, it seems, has an incredible knack for finding ways to persist. Indeed, microorganisms have been around for nearly four billion years, giving them ample time to adapt to some of the most extreme conditions in the natural world. But are there places left on Earth so harsh that they are rendered sterile? Heat is a good starting point for answering this question. The record for heat tolerance is currently held by a group of organisms called hyperthermophile methanogens, which thrive around the edges of hydrothermal vents in the deep sea. Some of these organisms can grow at temperatures of up to 122C (252F). High pressure, by contrast, appears to be less of a problem for life. This means that heat rather than depth probably limits how far below the surface of the Earth life occurs. The centre of the Earth’s 6,000C (10,800F) temperature certainly precludes all life, although the depth at which the cut-off occurs is still under investigation. One microorganism called Desulforudis audaxviator was discovered nearly two miles (3.2km) below the Earth’s surface, in a South African gold mine. It has not been in contact with the surface for potentially millions of years, and survives by siphoning nutrients from rocks undergoing radioactive decay. Life exists at the other extreme, too, in subfreezing conditions. Bacteria in the genus Psychrobactercan happily live below -10C (14F) in Siberian permafrost and Antarctic glacier mud. Living cells recently turned up in a subglacial lake below the Antarctic ice. And Antarctica’s hypersaline Deep Lake hosts unique salt-loving species, even at -20C (-4F). To survive in these environments, microrganisms possess features such as specially adapted membranes and protein structures, and anti-freeze molecules within their cells. Given that the Earth has been covered in ice multiple times since life first evolved, “an ice-covered lake in Antarctica does not seem all that extreme,” says Jill Mikucki, a microbiologist at the University of Tennessee. Radiation typically does not deter microorganisms, either. So long as they are not in the direct pathway of an atomic blast – which would likely burn them up – they can thrive in containers of radioactive waste or near the epicentre of the Chernobyl disaster, for example. Deinococcus radiodurans, one of the hardiest of the radio-resistant microorganisms, has survived trips into space and can endure radiation doses of up to 15,000 gray (the standard measure of the absorbed dose of radiation). For humans, just 5 gray causes death. 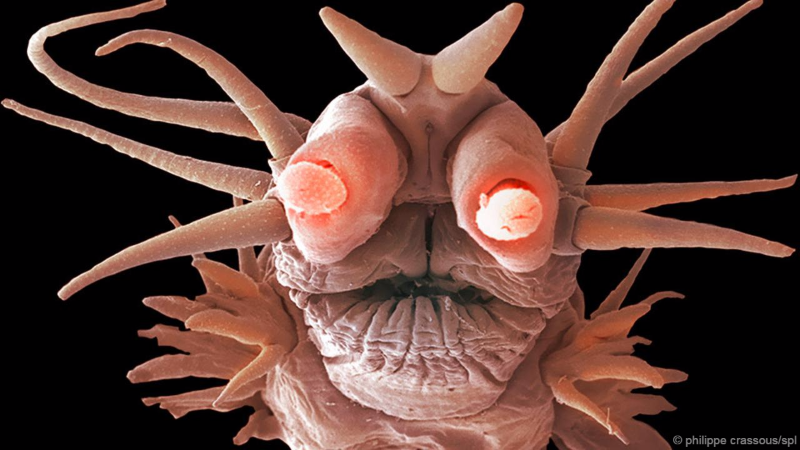 Likewise, what we register as deadly chemical environments, some extremophiles call home sweet home. Various organisms depend on arsenic, mercury or other heavy metals for their growth and survival, while others prefer cyanide. In the hot springs of Kamchatka in Russia, menageries of microorganisms metabolise using sulphur or carbon monoxide. “It’s hard to find a chemical that can kill all life,” says Frank Robb, a microbiologist at the University of Maryland. There might be isolated exceptions, however. Don Juan Pond in Antarctica is the saltiest known body of water on the planet, with salinity levels topping 40%. (The Dead Sea is around 33%). Researchers have recovered traces of microbial life from the pond, but they are still trying to determine whether it is actively growing and replicating there, or just blowing in from other locations. Don Juan counts as “an example of a place on the surface of Earth where we might expect life, but cannot verify the presence of active life,” says Corien Bakermans, a microbiologist at Penn State University. Even if there are some lone holdouts of sterility in the natural world, however, the environment exists in a constant state of flux – and if extremophiles teach us anything, it is that organisms are always capable of adapting. “Give them enough time and they will find a way,” says DiRuggiero.